New wheels, body colors and upgraded navigation system highlight the SUV’s facelift, along with available Black Pack and extended leather trim. 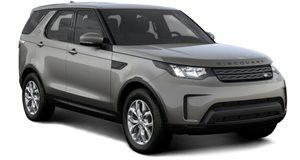 Land Rover has announced some changes for the refreshed 2013 LR4/Discovery, including new Black Design Packs, five new body colors and an Extended Leather Pack. Buyers will be able to spec their LR4 in Havana brown, Barolo black, Mariana black, Barossa red and Causeway grey. 7-spoke 19" alloys come standard. 20" blacked-out five-spoke wheels come with the Black Pack along with gloss black grilles, handles, mirrors and badging, as well as satin black roof rails. Two new interior colors and two new trims give customers a greater range of choices as well. Arabica brown seats with Nutmeg stitching and Ivory seats with Ivory stitching are available in soft Windsor leather. Natural-finish woods, and stitched and wrapped trim complete the look. Those looking for even more leather should tick the Extended Leather Pack, which includes Windsor leather with twin-stitch detailing on the facia, doors and around the instrument binnacle. All seven occupants in the 2013 LR4 can enjoy the Alpine Roof, which combines a power glass sunroof over the front seats and glass panels over the second and third rows. Technical upgrades include an updated navigation system, 11-speaker Harman/Kardon sound system, Surround Camera System with five digital cameras, and Automatic High Beam Assist. Power continues to come from the 375-horsepower 5.0-liter naturally-aspirated V8, which is mated to a six-speed automatic transmission. For Europe, 211hp 3.0-liter TDV6 and 256hp 3.0-liter SDV6 diesel units are mated to an 8-speed automatic. Prices start at $49,950, including destination and delivery.